It’s one of the great “productivity secrets” of almost every truly successful entrepreneur I know. However, it can be a bit of a tough pill to swallow. I recommended this Harvard Professor’s advice to one of my clients and it made his wife so angry, she sent me an actual hand-written letter to scold me. With my client’s permission, I personally called her to explain. When the implications of it finally sunk in she went silent. 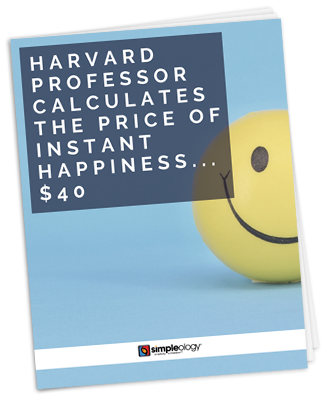 What is this $40 thing that can make you instantly happy (without drugs or “faking it”), unshackle your productivity, make your wife ecstatically grateful and more?